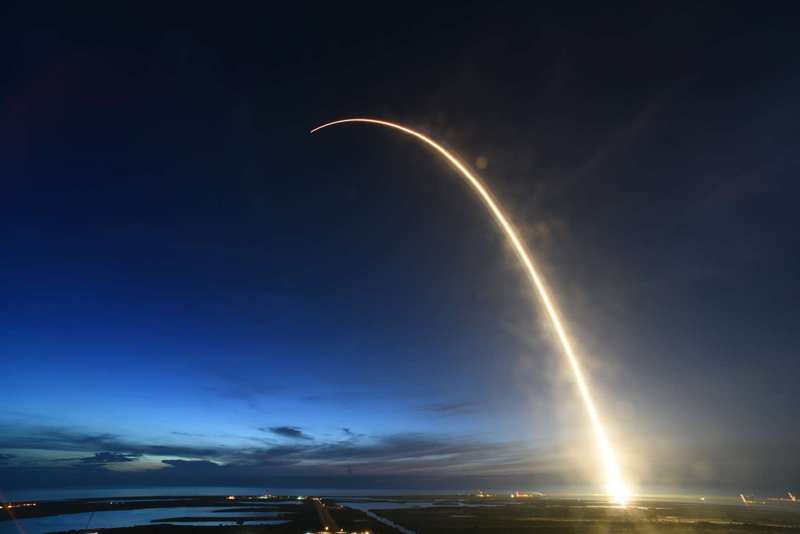 Since it was formed in 2002, Elon Musk’s SpaceX program has been making headlines for its reusable rockets. 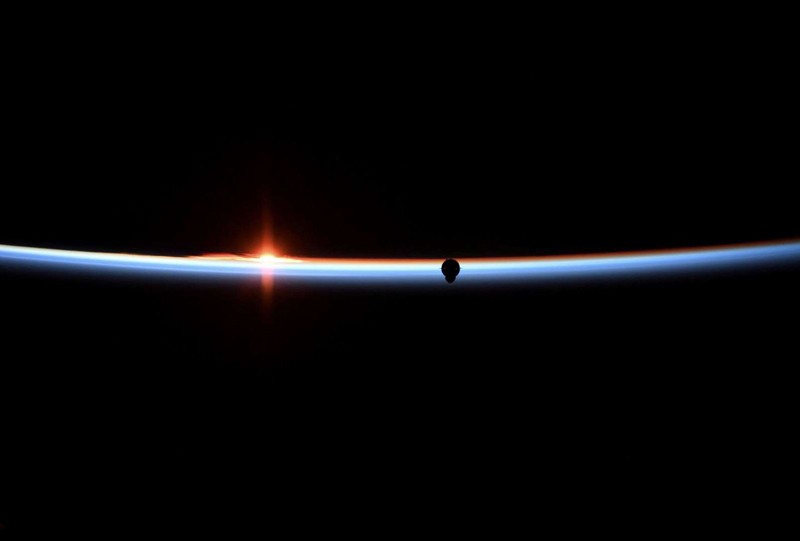 Here are some of the most stunning images from its previous missions. 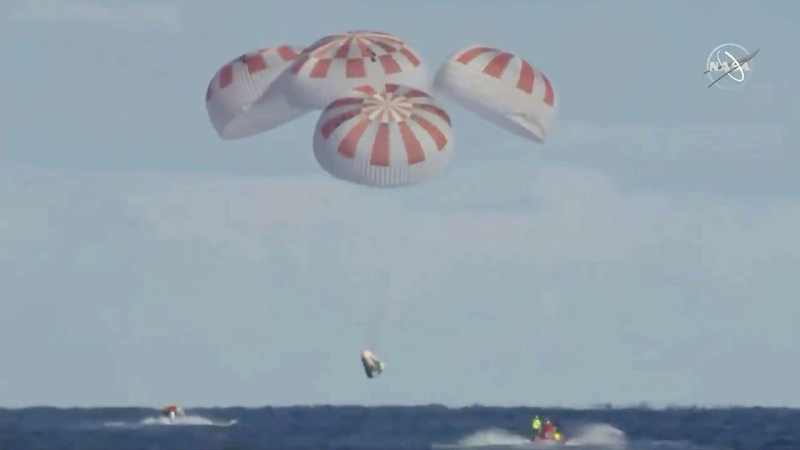 (Pictured) An unmanned capsule of the SpaceX Crew Dragon spacecraft descends down into the Atlantic Ocean, after a short-term stay on the International Space Station, in this still image from video, in the Atlantic, about 200 miles off the Florida coast, U.S., on March 8, 2019. 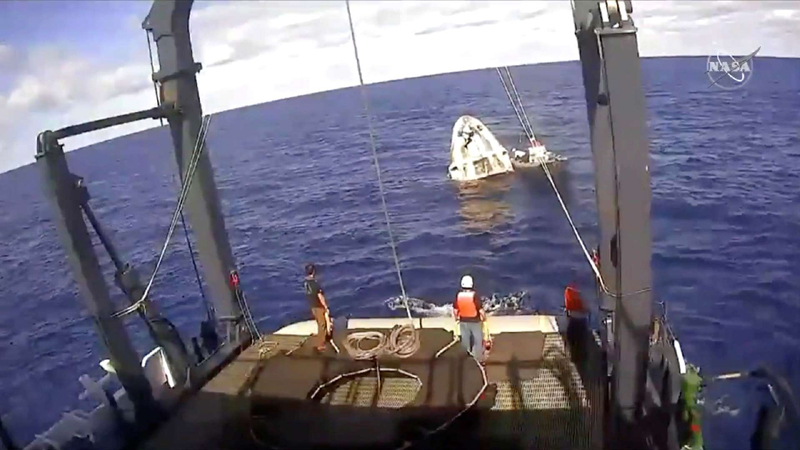 An unmanned capsule of the SpaceX Crew Dragon spacecraft is seen shortly after splashing down into the Atlantic Ocean as SpaceX recovery teams works on it, in this still image from video from NASA Commercial Crew, in the Atlantic, about 200 miles off the Florida coast, U.S., on March 8, 2019. 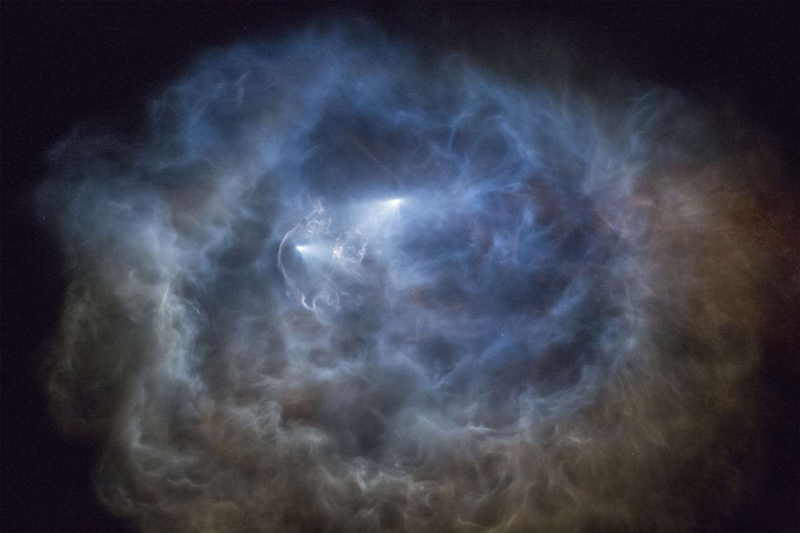 The SpaceX Crew Dragon capsule, in a photograph taken by NASA astronaut Anne McClain aboard the International Space Station, on March 3, 2019. 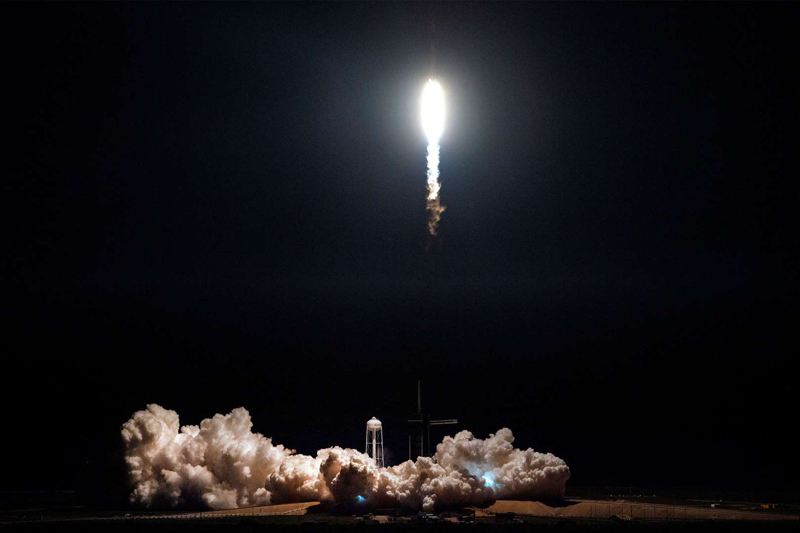 The Falcon 9 rocket, with the Crew Dragon spacecraft onboard, takes off during the Demo-1 mission, at the Kennedy Space Center in Florida, U.S., on March 2, 2019. With only a dummy named Ripley on board, the launch was a dress rehearsal for the first manned test flight, scheduled for later this year with two NASA astronauts. 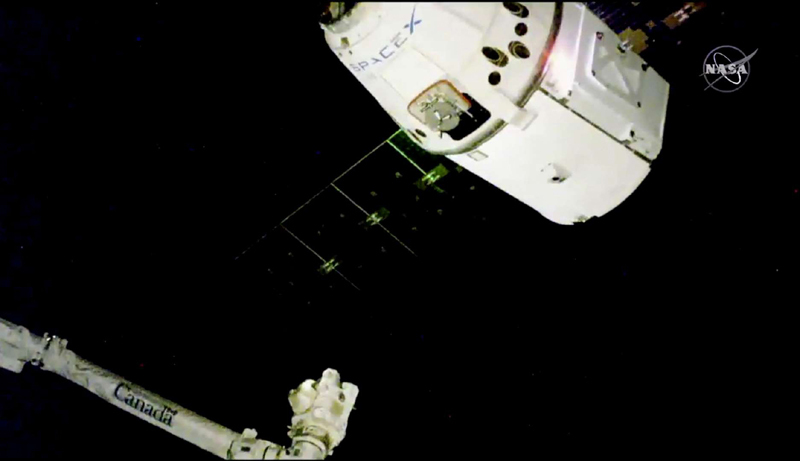 In this image taken from NASA Television, the SpaceX Dragon cargo spacecraft approaches the robotic arm for docking to the International Space Station, on Dec. 8, 2018. 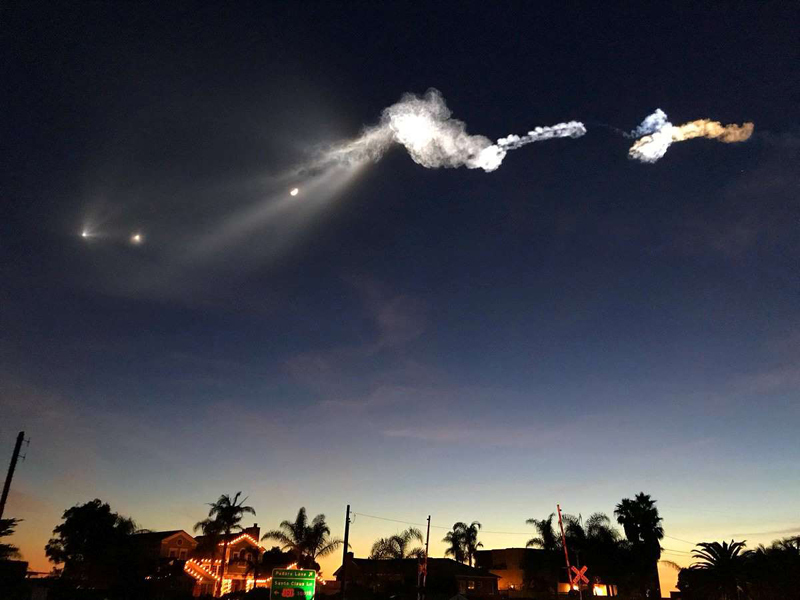 The Falcon 9 rocket (R) separates from the space craft (L) behind the rocket trail after launching from Vandenberg Air Force Base carrying the SAOCOM 1A and ITASAT 1 satellites, as seen on Oct. 7, 2018, near Santa Barbara, California, U.S.
A Falcon 9 rocket launched just before dawn at Launch Complex 40 at Cape Canaveral Air Force Station carrying supplies to the International Space Station, on June 29, 2018. 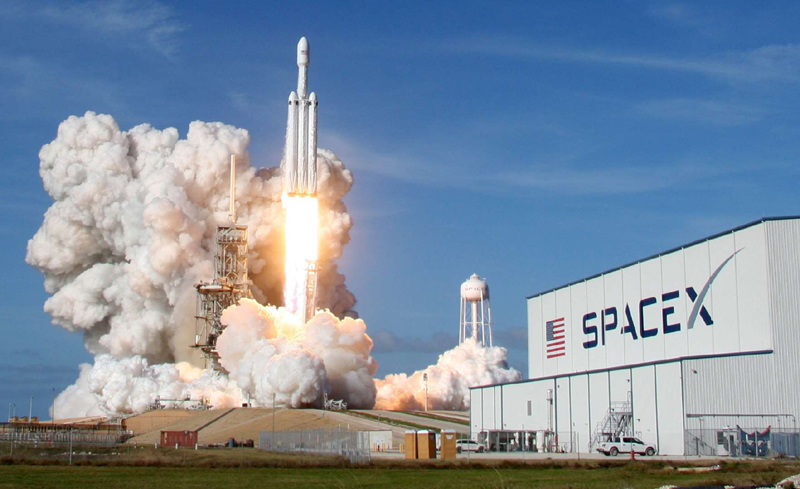 Falcon Heavy, the most powerful rocket in operation, successfully completes a test launch in February 2018. 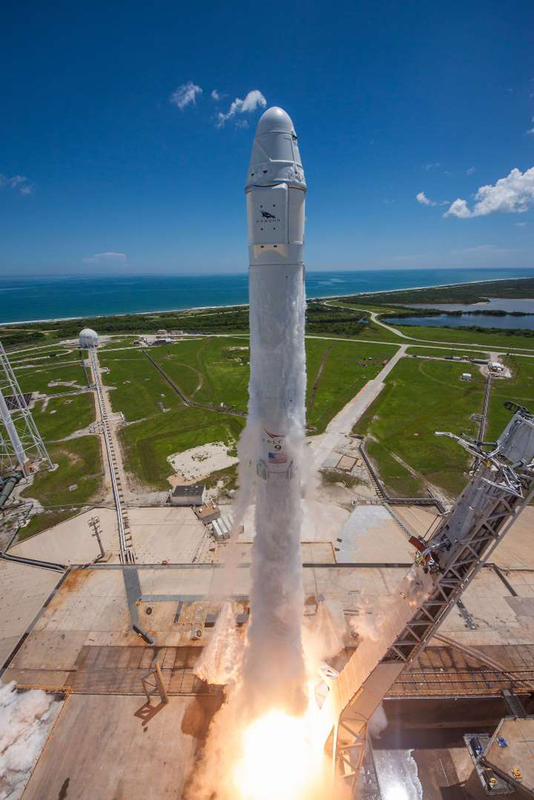 A flight-proven Falcon 9 carries a PAZ satellite from Spain and MicroSat-2a and 2b. 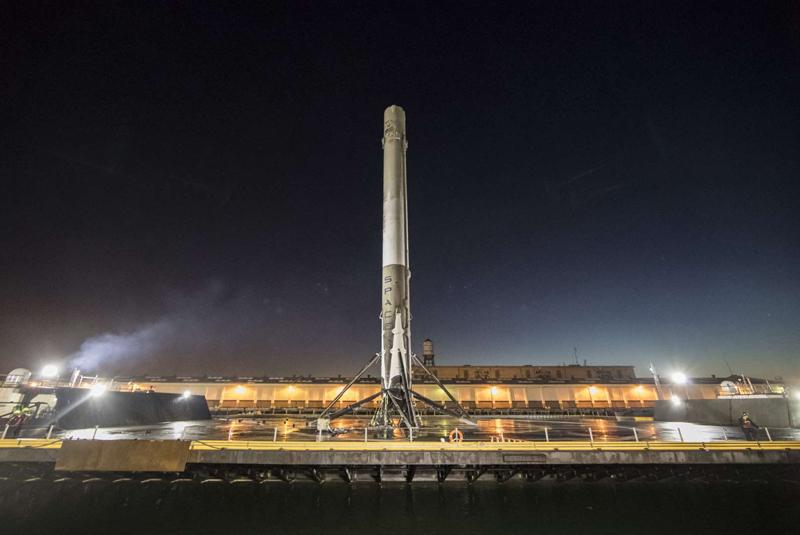 The latter two are 400 kg demonstration units for SpaceX’s program to provide high-speed broadband internet around the world via satellites. 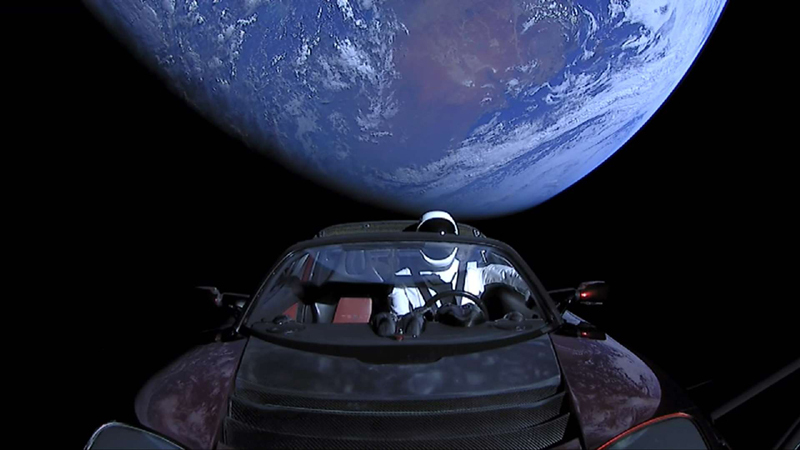 A cherry red Tesla roadster car, also manufactured by Elon Musk, is sent into space with a dummy driver – ‘Starman’ – on Feb. 7, 2018. 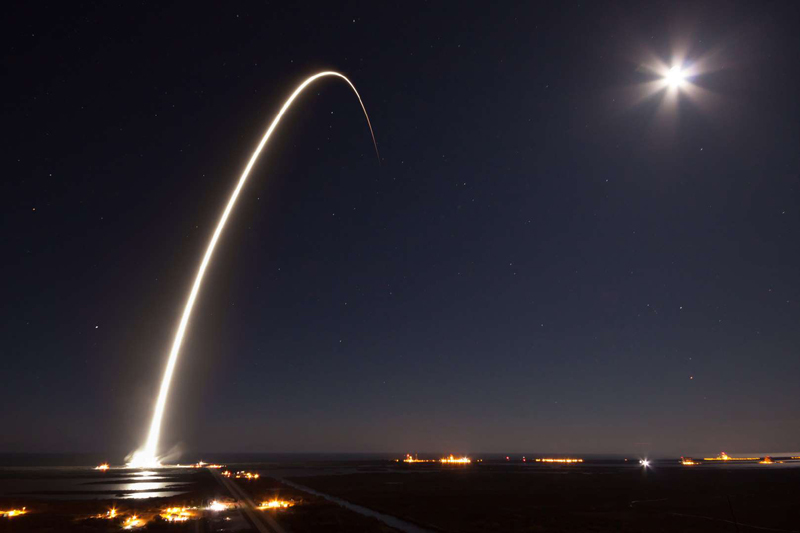 SpaceX launched the Zuma mission, a payload for an unidentified U.S. government agency, on Jan. 7, 2018. 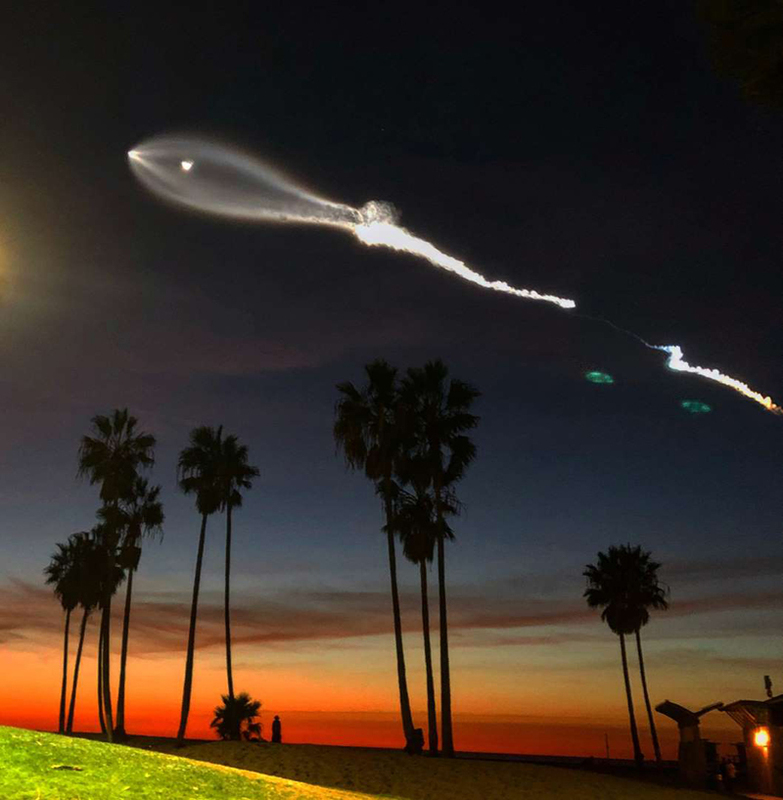 The twilight effect from a Falcon 9 rocket launched from Vandenberg Air Force Base carrying 10 Iridium voice and data relay satellites is shown in a view from U.S. Highway 101 and Padaro Lane in Carpinteria, California, on Dec. 22, 2017. Orbital Test Vehicle 5 Mission, on Sept. 7, 2017. 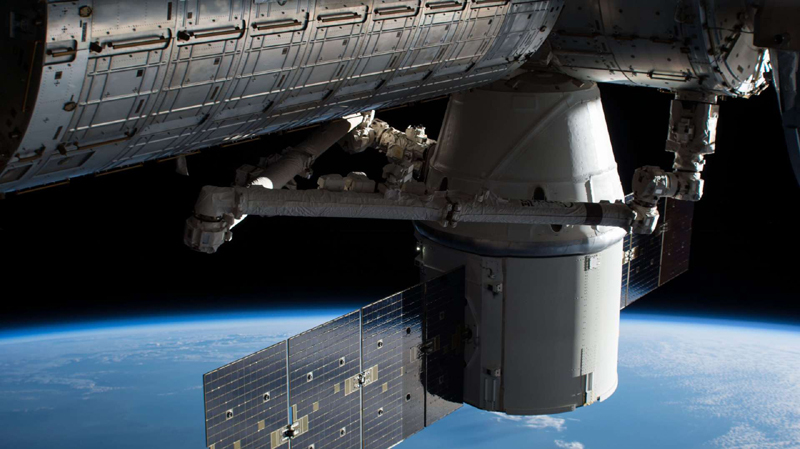 A handout photo made available by NASA shows the Dragon cargo craft attached to the Harmony module of the International Space Station after it arrived on Dec. 17, 2017. 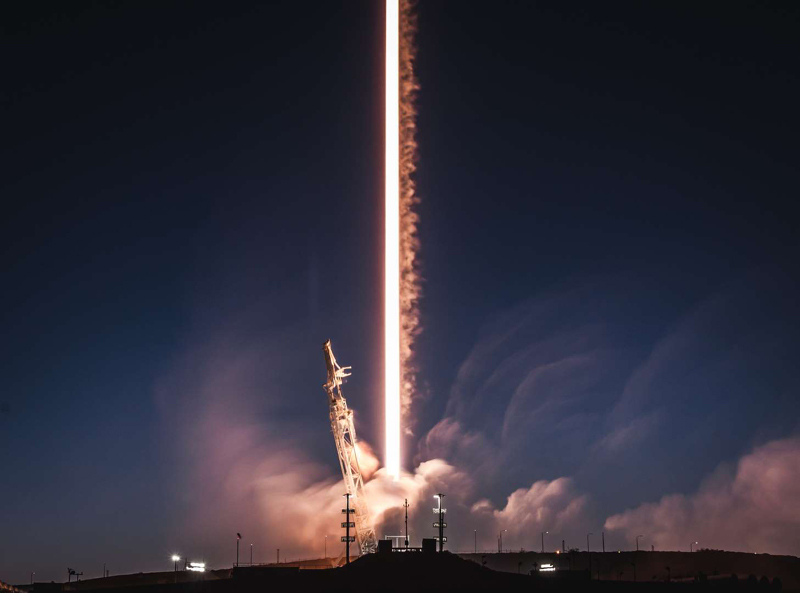 The contrail of the Falcon 9 is seen after its launch on Dec. 22, 2017. A contrail refers to the line-shaped clouds produced by the exhaust of jet engines flying at distances of several miles above the Earth’s surface. Contrails are usually formed of water, in the form of ice crystals. The Dragon cargo craft is seen attached to the Harmony module of the International Space Station after its arrival on Dec. 17, 2017. 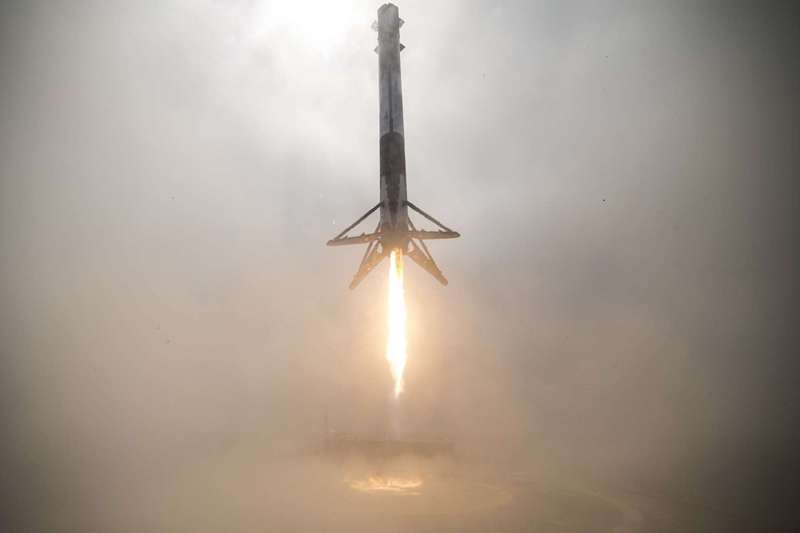 SpaceX’s 40th Falcon 9 launch lands on the Autonomous Spaceport Drone Ship, a recovery craft, after completing the FORMOSAT-5 mission on Aug. 24, 2017. The 12th Commercial Resupply Service (CRS) mission to the International Space Station launches on Aug. 14, 2017. 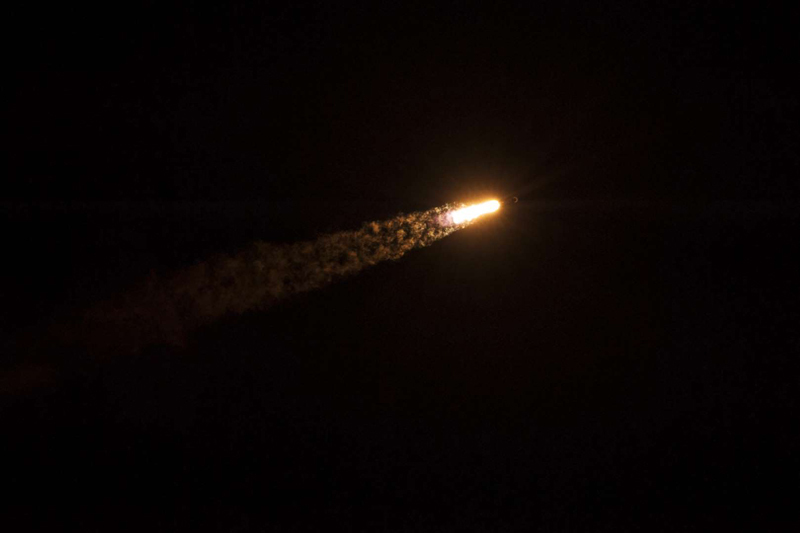 A Falcon 9 rocket, carrying EchoStar 23, a commercial communications satellite for the EchoStar Corporation, launches on March 16, 2017. 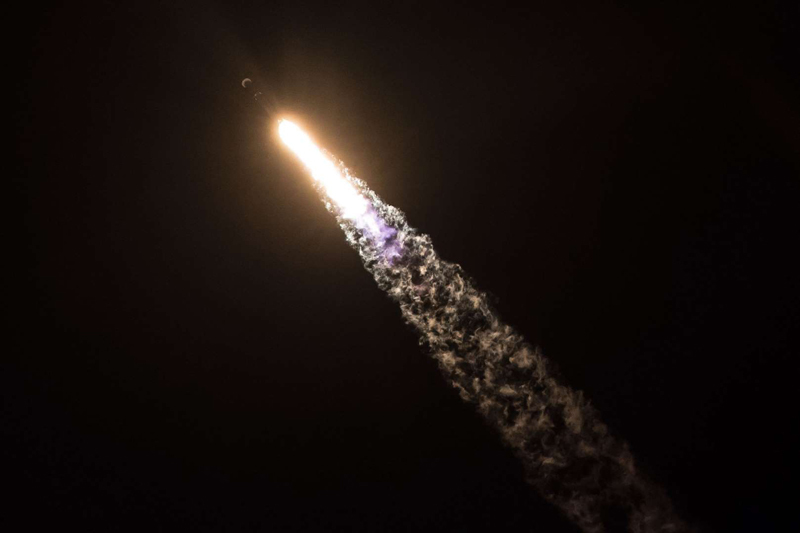 A Falcon 9 rocket, just returned from delivering 10 Iridium NEXT satellites, is seen on Jan. 17, 2017. A Falcon 9 rocket, carrying 10 Iridium NEXT communications satellites, is seen on Jan. 13, 2017, a day before its launch. 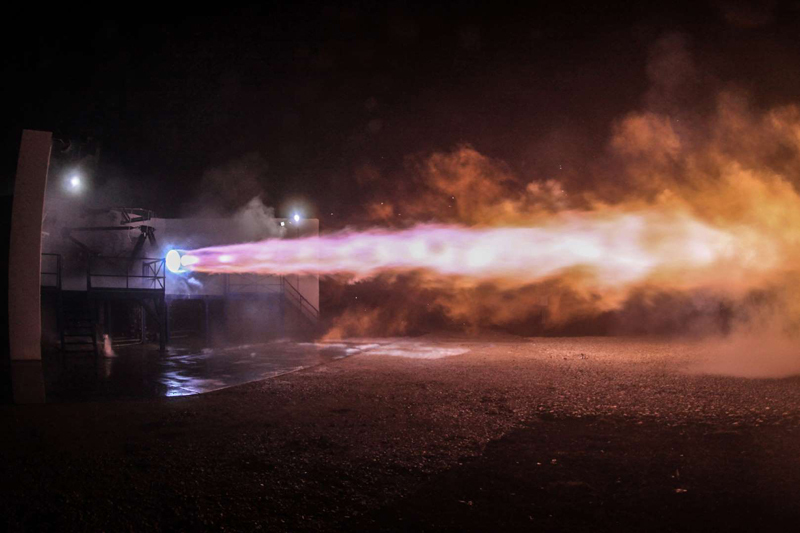 The company tests the Raptor rocket engine on Sept. 25, 2016. 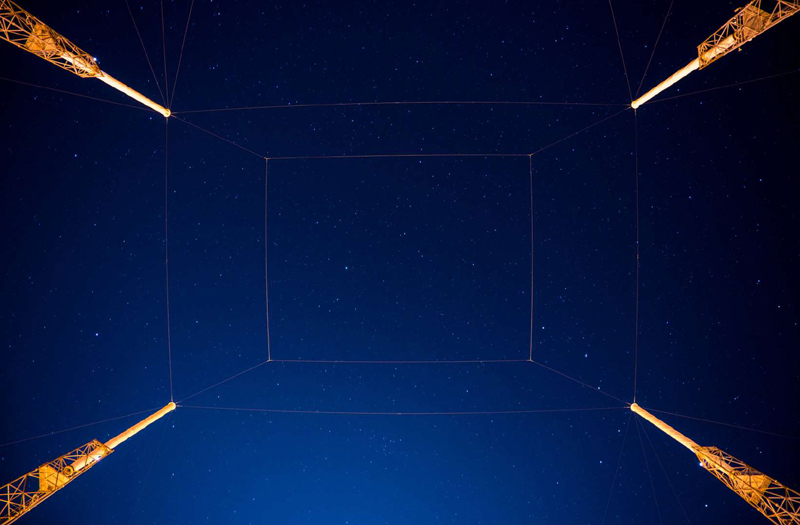 The rocket is intended to get a man to Mars by 2024. 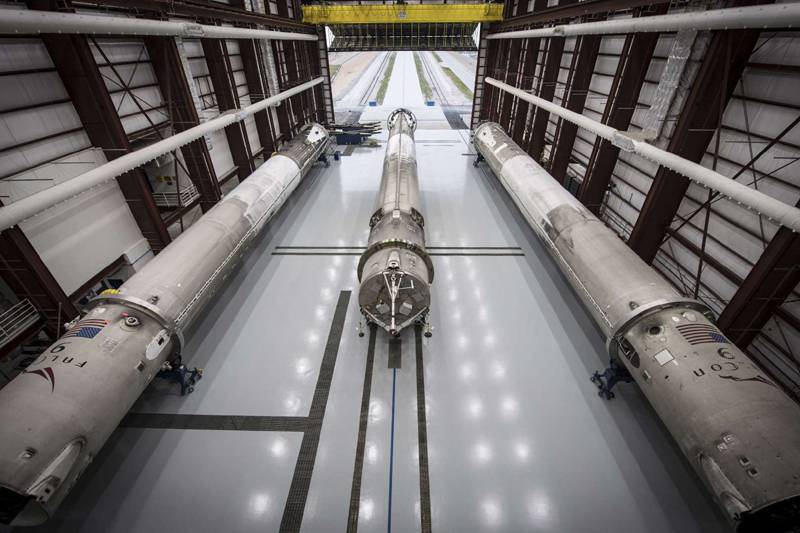 Previously landed rockets are seen at the Kennedy Space Center's hangar 39A on May 14, 2016. An upward view from Launch Pad 40 at the Cape Canaveral Air Force Station in Florida, U.S., on May 13, 2016. 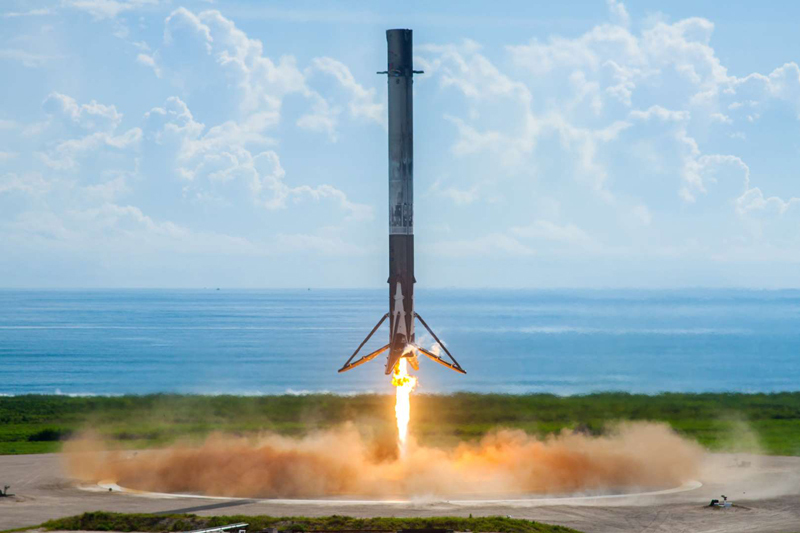 In 2015, SpaceX created history by successfully landing the Falcon 9 upright on its reentry to earth. The landing zone with the recovered first stage is seen, a day later, on Dec. 22. 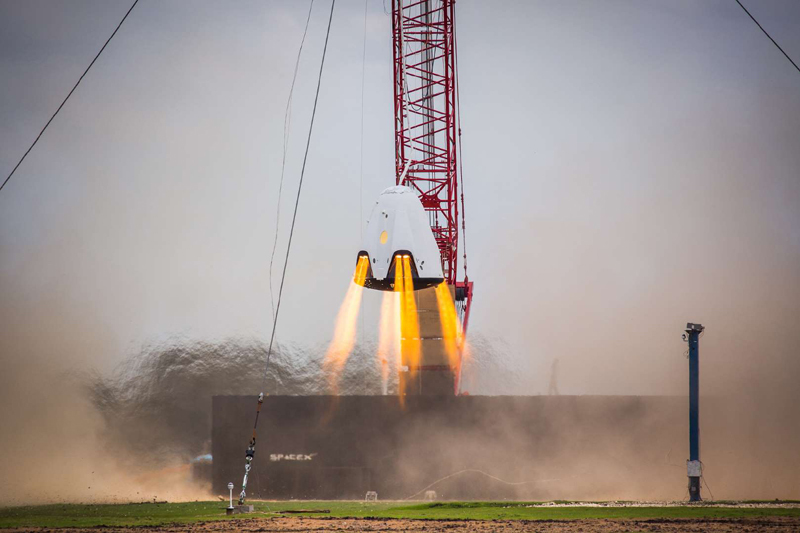 The Dragon 2, powered by eight SuperDraco engines, is seen during a hover test on Nov. 23, 2015. 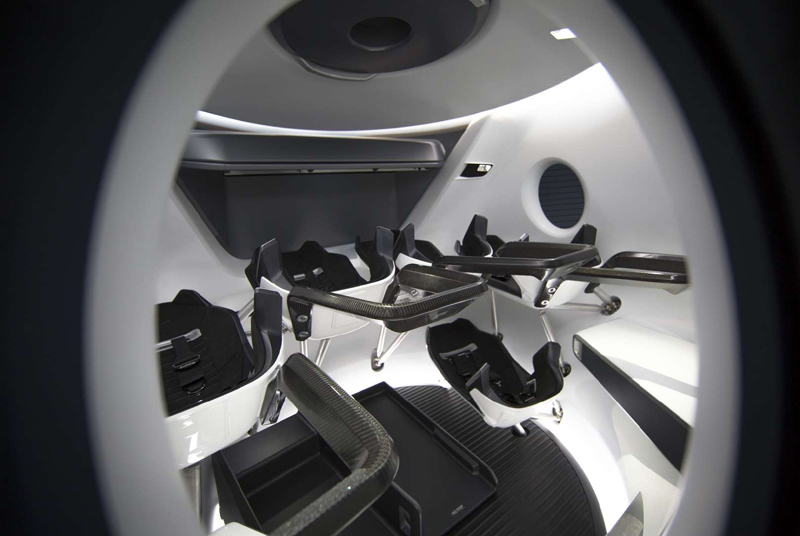 An inside view of Crew Dragon, SpaceX's next-generation interplanetary spacecraft, on June 11, 2015. 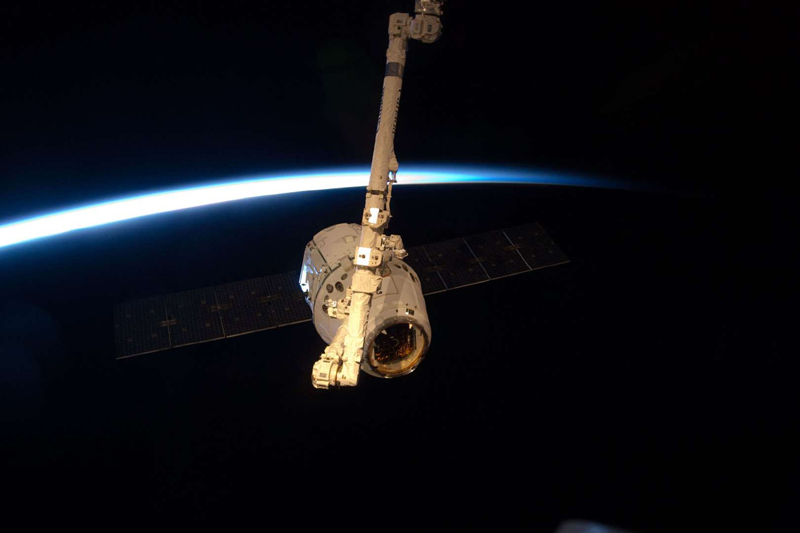 The Earth's horizon and a line of atmosphere are seen as the Dragon is grappled by the Canadarm2 robotic arm at the Space Station on May 25, 2012. 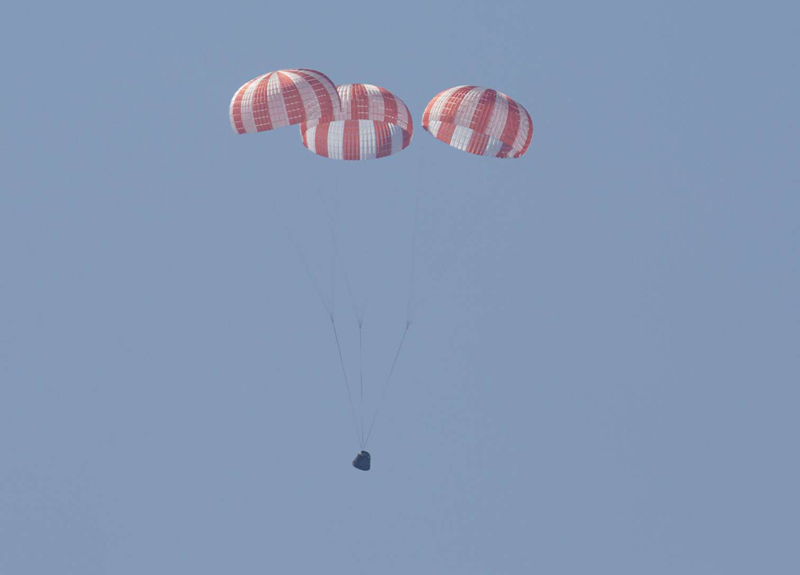 The Crew Dragon before it splashed into the Pacific Ocean, carrying cargo back from the International Space Station, on May 21, 2015. 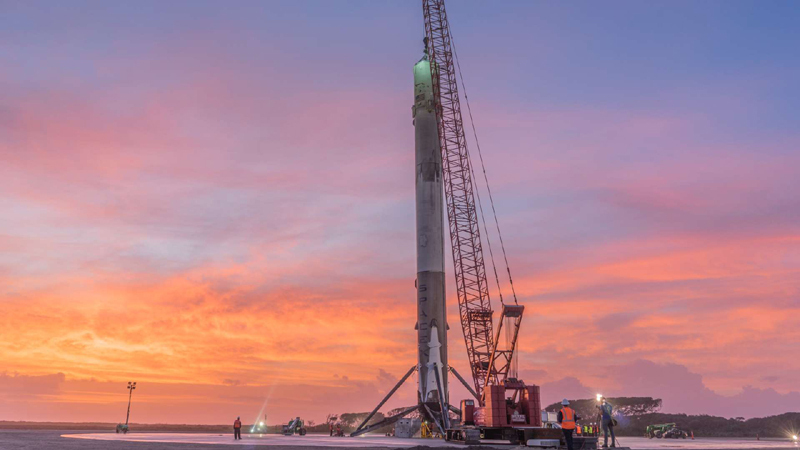 On Falcon 9's sixteenth launch on March 1, 2015, the vehicle carried its heaviest payload to date - the ABS 3A and EUTELSAT 115 West B satellites.